Thank you for visiting the website for Maranatha Baptist Church - "A Church With A Heart For People." Our theme verse is Jude 1:22 "And of some have compassion, making a difference." 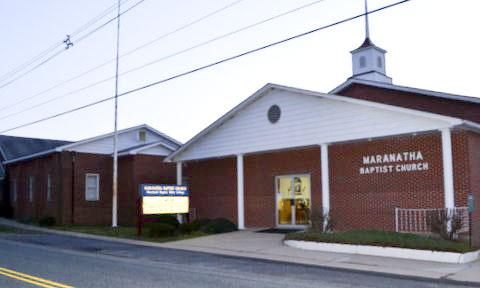 Maranatha Baptist Church is a Bible-believing, Bible-preaching, Bible-centered church located in Elkton, Maryland. Our goal is to glorify the Lord Jesus Christ in all that we do. We believe that you will find Maranatha to be a warm and friendly church. Our services have good gospel singing and plain Bible preaching. We extend a warm welcome to each of you to come and worship the Lord with us. Check out the new sermons added on the Sermons page!